Added by Lori Denman on July 22, 2018. Firefighters in Ventura County have left their careers due to injuries caused by traps set by a subset of homeless vagrants, explained Oxnard Fire Chief Darwin Base to Citizens Journal this month. Who would want to hurt the citizens of Ventura County, including police and firefighters by setting intentional fires and traps? Homeless vagrants. Yet, the communities of Oxnard and Ventura are allowing low barrier shelters to be constructed within their cities that give free beds to homeless vagrants with criminal histories of dealing and using illegal drugs. These vagrants also refuse programs and services and leave drug paraphernalia behind to litter local communities. The fire departments of Oxnard and Ventura engage in endless activities aimed at improving the lives and safety of their citizens. When a car crashed off the road by Pt. Mugu rock, who was there, rescuing the driver? Who was saving a life in a car crash, caused by a drunk driver? And when a fire ran rampant through the hills by a home, who was there to bring a child to safety? The fire departments are available 24-7, on call for these incidents and also teach safety and other informative topics to help their communities grow and thrive. Survive, so that our next generations want to call Ventura County their home. 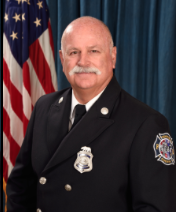 City of Oxnard Fire Chief Darwin Base has over 30 years of experience in the department, following positions as fire engineer, fire captain and battalion chief. He was instated as Fire Chief in November of 2016. Steve Swindle is a full-time public information officer for the Ventura County Fire Department. Base and Swindle spoke to Citizens Journal about their departments, the local vagrant situation and how they are aiming to improve the quality of life for local residents. “We are truly at our highest as human beings when we are serving others,” explained Swindle of his favorite quote. 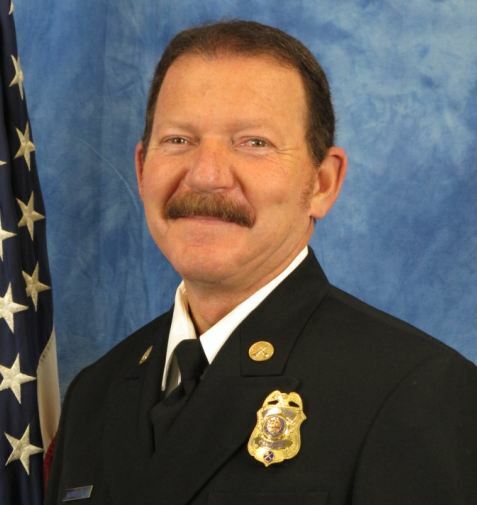 He has been working a total of 32 years of fire service, including 29 with Ventura County Fire and two years on the Pt. Mugu Raft with the army. He is proud to serve his local communities, following a lifelong residency in Camarillo. He will be retiring in the style he desires, working on the fire engine. Due to a strong passion for his career, he encourages others. Serving and educating the community is priority number one while attending to emergencies. Important topics being tackled by the departments are fires and traps set by homeless vagrants. Just on the fourth of July, the Oxnard Fire Department was dealing with three fires set by vagrants, all before noon. The ongoing issues with fires set at the river bottoms by homeless vagrants is an extreme danger and problem. As a person sets the fire, sometimes the fire gets away from them due to environmental issues including wind. The fuel for the fire is a certain type of bamboo related grass – called sry dell — in the river bottom that catches fire and spreads quickly and easily. It is very thick and difficult to fight its fire because it is packed tightly and it is hard to pull hoses through it to water it down. It is quite impossible to decrease the fire capacity in the river bottom due to the sry dell that takes additional manpower to cut down and overhaul. Swindle commended Ventura City Fire Department for cleaning up the areas where the vagrants cause issues, including the promenade by California Street beach. 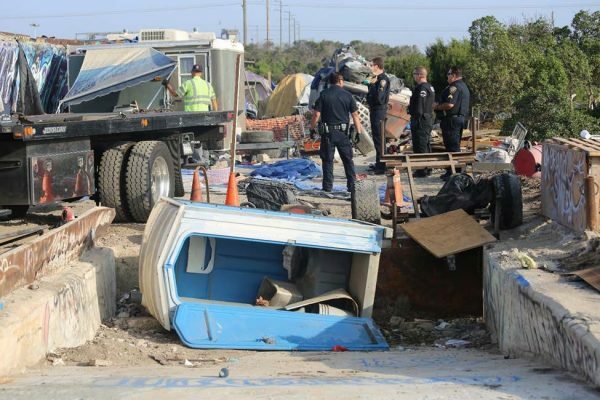 Although no one from the police or fire departments will comment on the low barrier shelters scheduled to open in Oxnard and Ventura, one could say that it might not be a good idea to give free housing to homeless vagrants, since they openly deal methamphetamine and other illegal drugs in local communities. Low barrier shelters allow homeless vagrants to “sleep it off.” Would it be a wiser idea to make the shelter “high barrier,” allowing the mere 55 beds to be filled by those who do not commit crimes – like setting dangerous traps that cause injuries in public spaces? On the day of his interview with Citizens Journal on July 16, Base had just met with Oxnard City Manager Alexander Nguyen and said that one of the topics of discussion was the homeless vagrant situation. Base believes it to be an important topic to be tackled since it drains their services, along with that of the police departments of Ventura County. This fact was also explained in a previous Citizens Journal story, “The Breakdown of Morality.” The interview was with Sergeant Rocky Marquez with the Oxnard Police Department, who said, “Ultimately, we do not have enough manpower to deal with the vagrancy issues,” he explained. “There are a lot of calls that our patrol services handle that is related to the homeless, so it would help to have more Homeless Liaison Officers to address those problems at the roots,” he added. Oxnard and Ventura fire departments work together on emergency calls in both cities. They work “hand in hand,” as described by Base. They do not want to have jurisdictional boundaries, so issues can be dealt with swiftly, quickly and successfully. Depending upon where the fire originates from, for example, then one department sends resources to the other. Oxnard Fire cares for their city and goes to Ventura County or City on call. Besides the problems with fires and vagrants, there is another aspect of service and safety needed in Ventura County – lifeguards. Base said the absence of lifeguards is due to high costs. It does not make much sense – there are no lifeguards on the beaches of Oxnard in the winter, when the waves grow larger. Base said, “We are going from a BLS (Basic Life Support) Agency to now having paramedics.” Base sees this as “gap coverage,” because the south end of Oxnard does not receive the best services, regarding coverage. “Sometimes there are delays,” he continued. “We are actually working as a private/public partnership so to speak, so we are going to help out on those delays. By creating this team with a paramedic, Base believes it would help the homeless community attain better health and wellness while addressing emergency issues. 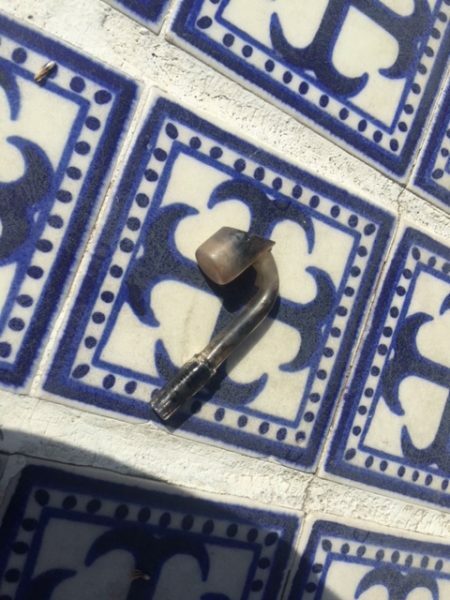 Aside from the crimes being committed by vagrants in the river bottom, the Ventura and Oxnard Police Departments receive calls for crimes regarding homeless vagrants setting fires or engaging in other disturbances towards businesses. These accounts were explained by Citizens Journal in the story, “A Town Turned Upside Down.” The fire departments respond to calls of a certain nature, which usually follow in after the police. “There are fires set by homeless vagrants and we receive calls after the event occurs, on the reactive side, when they have already started a fire or if something happened,” Base said. “Or it could be that two of them get into a fight and someone gets hurt. For intentionally set fires, the departments have Fire Cause Investigators or Arson Investigators who team up with law enforcement to find and arrest perpetrators. There are many ways the citizens of Ventura County can assist their local firefighters – before, during and after emergencies. More personnel are needed because the city of Oxnard is growing with an increase of construction and population. As far as law enforcement and fire employees, Base is unsure if they can handle this increase of calls. One more very helpful phrase of advice was touted by Base – “Lights and sirens, pull to the right.” The meaning is literal. If at all possible, do not stop your car in the middle of the road, pull over to the side when an emergency vehicle is approaching. Stopping by a local fire station is encouraged for all members of the community, in order to get educated and involved. All ages are able to learn and engage with the department and its staff. There are Community Emergency Response Teams (CERT) that the public may join (contact Scott.Brewer@oxnard.org ). Base said that it helps for everyone to be prepared for the next emergency, which could be a fire or earthquake. Disaster and emergency preparedness will be our next article featured on CitizensJournal.us.